The LT Time Allocation Committee has issued a call for proposals for PATT time for observations in Semester 2017A (1st Jan 2017 → 31st Aug 2017). You may also apply for Reactive Time at any time throughout the year as described here. After taking off 20 hours set aside for Reactive Time, there are 280 hours available to be allocated for PATT in semester 2017A. The deadline for submission of proposals is 17:00 GMT on Monday, 3rd October 2016. PATT accepts proposals from Principal Investigators (PIs) based in the UK. Employees of Liverpool John Moores University should usually apply through the internal LJMU call. Spanish PIs should apply for LT time through the Comision de Asignacion de Tiempos of the Instituto de Astrofísica de Canarias. Some Non-UK and non-Spanish PIs are eligible to apply through the OPTICON Trans-national Access programme, or through the International Scientific Committee (CCI). Non-UK PIs who are not eligible for CAT, OPTICON or CCI time may apply through PATT. Full details of the Call for Proposals are available for download as a PDF file from here [ CallForProposals-PATT-17A.pdf ]. The file gives more information about the proposal process, reactive time applications, new and existing instruments, and the telescope's performance and rapid-response capabilities. We would like to call the attention of applicants to three particular changes in 2017A. Some modifications have been made to the rules for Reactive Time. 20 hours of this time are available in 2017A, compared to 9 hours in previous semesters. We have also removed the requirement for applications to be of a maximum 3 hours in length, and this mode of application is now available for both unforseen and rare phenomena, where we define rare phenomena loosely as events that are likely to have a rate of less than one trigger per year. 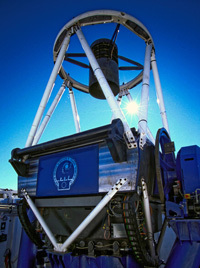 We have expanded our RTML capability, providing users with an alternative to the Phase II GUI for communicating with the telescope scheduling software. We can now on request supply users with a tool which will enable them to submit IO:O, IO:I, RISE, FRODOspec and SPRAT groups directly from the command line. This greatly simplifies the submission of long target lists, and also enables LT submission to be incorporated into user programs and scripts. An example use case would be the automatic submission of spectroscopic follow-up groups by a robotic transient discovery facility. We are also offering for the first time the ability for users to apply for PriorityZ Time at any time throughout the year. We define PriorityZ time as time when there is no A, B or C-ranked science group available for the scheduling software to pick, and so the telescope would otherwise sit idle. This can occur during periods of poor seeing during full moon, or during times of instrument failure. We estimate approximately 10-15 hours of such time are available per month, although this can of course vary significantly. PriorityZ time is well-suited to long-term proposals of bright targets with no significant time constraints. We would typically expect to approve a PriorityZ proposal for a period of two years.